An interesting story about the 1913 Liberty Head Nickels appeared in the July 20, 1953 issue of The Numismatic Scrapbook Magazine. 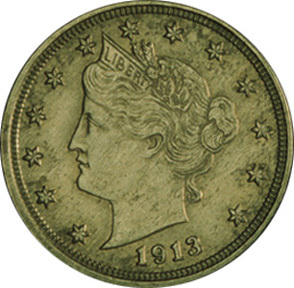 Two follow-up letters appeared in the August 20, 1953 issue of the The first was by James P. Randall: "I would like to add a few details to your story of the 1913 Liberty head nickel." "I believe the late Mr. Johnson's price was $1,000 less 10% to dealers. He retained the best specimen, which had proof surface, until last and I am sure he obtained a much higher price for it." "The 1913 Buffalo nickel was in bronze and not copper. Type I. Unfortunately it was a cast piece. I purchased it along with the entire stock of patterns and trial pieces from the executors of the estate. As I made my bid from a written description, I felt justified in returning this piece for a pro rata refund which was duly received." "An interesting note on the 1913 nickels comes to me from a source close to B.G. Johnson. This party selected the best of the 5 coins for his own collection, and this specimen is now in the Eliasberg Collection. The comment, which we cannot corroborate, indicated that only two of the 1913 nickels were in proof condition, the others uncirculated." "When the late B.G. 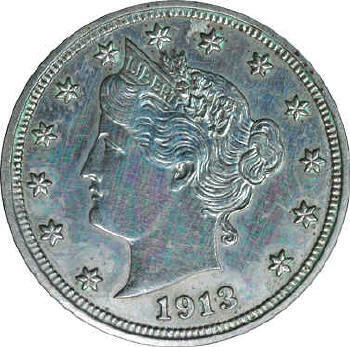 Johnson offered the 1913 Liberty head nickels from the Col. E.H.R. Green estate to various dealers, the coins were in a leather covered plush case and the set consisted of five pieces of the Liberty nickels and one 1913 buffalo type in bronze (the buffalo has since been reported to be a cast piece)." "It has been presumed that five specimens were all of the 1913 Liberties altho the number six has frequently been mentioned." "According to George Walton, who still owns the piece he obtained from Johnson, the coin which James Kelly sold to Dr. Bolt is in the collection of a wealthy North Carolina businessman. Mr. Walton states that he helped arrange the trade between Dr. Bolt and the business man. Mr. Walton expresses the opinion that the Buffalo piece in bronze was substituted for one of the Liberties so there wouldn't be a vacant spot in the case, the substitution being made before Johnson obtained them or possibly before Green had them." "Samuel W. Brown, North Towanda, N.Y., came to the 1920 Chicago convention and exhibited one specimen. He left that specimen with the late Alden Scott Boyer, who kept it about four months. In any event, if there is a specimen in the Farouk collection, that makes six accounted for. (We'll know for sure very soon as the Farouk auction sale is scheduled for February 24th thru March 6.)" 6. ---, Kosoff-Kreisberg, King Farouk. "Note: Specimen 5 or 6 started out with Johnson, but we don't know (for sure) which one or the owners prior to Kosoff-Kreisberg." The July 15, 2003 issue of NUMISMATIC NEWS (Page 4) featured a picture from the July 1960 issue of "The Appalachian Bulletin" showing B.C. Sayers of Johnson City, Tennessee holding a 1913 Liberty Head Nickel owned by J.V. McDermott. Standing next to him was dealer George Walton, who was holding his 1913 Liberty Head Nickel in its custom-made display case. The finest Proof example graded by PCGS is a single PR-66. 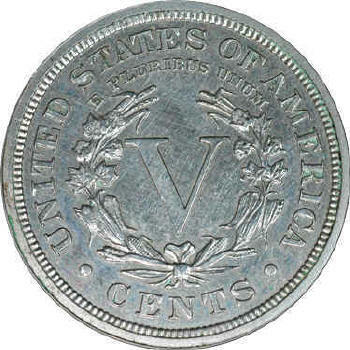 The five 1913 Liberty Head Nickels, representing the total number believed to have been struck, were owned by Samuel Brown until, in January 1924, August Wagner, a Philadelphia stamp dealer, advertised the five for sale. 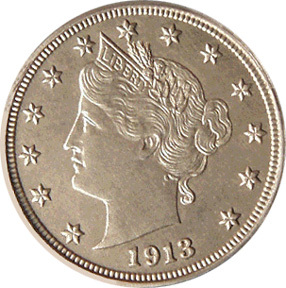 At that time, the five 1913 Liberty Head Nickels were sold to Stephen K. Nagy, who then sold them to Wayte Raymond, who in turn sold them to Col. E.H.R. Green, the famous Fort Worth, Texas area collector. 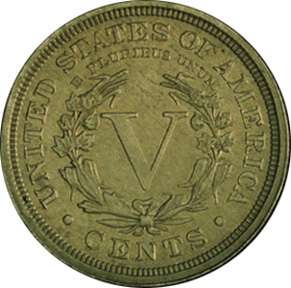 After Green's death on June 8, 1936, his coins were appraised by F.C.C. Boyd of New York and sold in 1942 to Eric P. Newman and B.G. Johnson (St. Louis Stamp & Coin Co., who with Henry Chapman had participated earlier in the distribution of the Virgil M. Brand estate). 1. PCGS Proof-66 (illustrated above). The Eliasberg Specimen...graded by Numismatic Guaranty Corporation as Proof 66. In holder #999999-001. Said to be one of only two with Proof finish. Purchased by Louis Eliasberg from Abe Kosoff in 1948 by way of Eric P. Newman. Ex - Samuel W. Brown - August Wagner - Stephen K. Nagy - Wayte Raymond - Col. E.H.R. Green - Burdette G. Johnson and Eric P. Newman - Abe Kosoff and Abner Kreisberg (Numismatic Gallery) - Louis E. Eliasberg, Sr. - Jay Parrino (The Mint) - Superior Galleries "The ANA 2001 National Money Show Auction", March 8-9, 2001, Lot 728, "NGC Proof-66", sold for $1,840,000 (the lot opened at $1.4 million, received a bid of $1.5 million from Legend Numismatics, then a final bid of $1.6 million) - Martin Paul of The Rarities Group as agent for Dwight Manley. Subsequently, this coin was graded Proof-66 by PCGS and was sold in or around August 2003 for a reported $3 million to Ed Lee. 2. 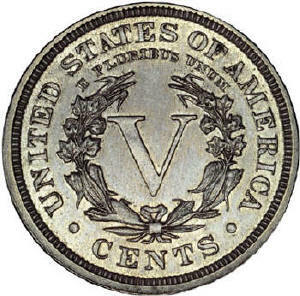 NGC Proof-64 (illustrated below). Previously graded PCGS Proof-64. The Olsen Specimen. 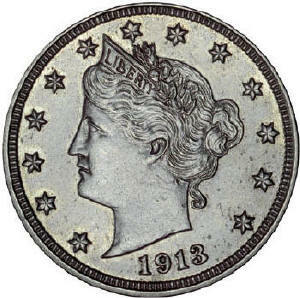 This is probably the most publicized of all 1913 Liberty Head Nickels. It is the only example ever handled by B. Max Mehl, for whom the 1913 nickel was central to his lifelong advertising campaign. The Olsen Specimen has been widely featured in print and on television, including being the subject of an episode on the program Hawaii Five-O in 1974. A few years ago, subsequent owner Reed Hawn exhibited it several times alongside his other world-class rarity, the 1804 silver dollar. Ex - Samuel W. Brown - August Wagner - Stephen K. Nagy - Wayte Raymond - Col. E.H.R. Green - Burdette G. Johnson and Eric P. Newman - James Kelly - Fred Olsen - sold at auction in 1944 to King Farouk of Egypt who "...soon tired of his purchase and he sent it to the Hammer Galleries of New York to be sold. They could not find a buyer at the price asked..."- consigned to B. Max Mehl's sale of the Will W. Neil, sold for $3,750.00 - Edwin M. Hydeman - Abe Kosoff - WorldWide Coin Investments - Bowers and Ruddy Galleries, Inc. - Continental Coin Co. - Superior Galleries - Dr. Jerry Buss - Superior Galleries - Reed Hawn - Stack's - Spectrum Numismatics - sold for $3 million in a transaction brokered by Blanchard & Co. on May 20, 2004. The King Farouk citation (cited by Breen) was called into question by Superior in their 2001 offering of the Eliasberg coin, but the citation appears to be correct. 3. The Walton Specimen. Ex - Samuel W. Brown - August Wagner - Stephen K. Nagy - Wayte Raymond - Col. E.H.R. Green - Burdette G. Johnson and Eric P. Newman - George O. Walton - George O. Walton heirs. Walton died as a result of a car accident on March 9, 1962. His 1913 Liberty was declared a fake by Stack's of New York when his collection was consigned to them for sale. Walton's heirs kept the coin, still in its custom-made holder, for many years, bringing it out again in 2003 in response to a reward offered by Bowers and Merena Galleries. The coin was examined by numismatic experts, pronounced genuine, and presented with much fanfare at the August 2003 American Numismatic Association convention where it was reunited with the four other specimens. 5. NGC Proof-55. The McDermott Specimen (illustrated below)...somewhat circulated. McDermott, a disabled veteran, was for many years the leading advertiser in the Numismatic Scrapbook magazine. "He was fond of mixing it with change in his pocket, then taking it out and showing it to a bartender - often in a hotel where a coin convention was being held - telling the barkeep and anyone else within earshot that it was one of just five known and was very valuable." After McDermott died in 1966, his widow Betts consigned it to James Kelly of Paramount International Coin Corporation. Ex - Samuel W. Brown - August Wagner - Stephen K. Nagy - Wayte Raymond - Col. E.H.R. Green - Burdette G. Johnson and Eric P. Newman - James Kelly - J.V. McDermott - Aubrey and Adeline Bebee - American Numismatic Association Money Museum.